I love shows that make you think – that can take an existing idea of the world and cause you to look at it in another way. Add in some witty writing, thoughtful plots and a character that appeals to me in one way or another – and I’m a happy girl. The only thing with watching ‘deep & meaningfuls’ all the time is that it can get a little bit heavy. Sometimes, after a long day you just want to sit down and watch something light hearted. But after a while, I find that the comedy shows usually to retreat to all seem a bit similar, relying on established plots and inside jokes to retain interest. And they generally do – retain interest – which is fantastic, but if you feel like you’re needing a bit of a change, then what do you do? I was pleasantly surprised when I stumbled upon the show ‘Pushing Daisies’, an American comedy-drama TV show created by Bryan Fuller. Young Ned, at the age of 9 year, 27 weeks, 6 days and 3 minutes old, realised that he wasn’t like the other children – nor anyone else for that matter. For you see, young Ned had been given a gift; he could touch dead things and bring them back to life. This gift wasn’t given to him by anyone in particular and there was no box or instructions for him to follow. Instead, he learns the hard way that with his gift there are certain caveats; First touch = life from death, second touch = death forever. So what does a young boy do with such a talent? Life after death = pie! Why, he grows up to be a handsome young pie maker where he can make pies from the dead fruit he touches & restores everlasting life to – providing he does not touch them again. In addition, Ned also finds himself assisting a Private Eye to solve murders; for of course, what better way to figure out who killed whom by asking the murder victim themselves? Lily & Vivian Charles – (Swoosie Kurtz & Ellen Green) Chuck’s aunts who used to be synchronised swimmers before retreating to their home and raising their niece after her parents died at a young age. The storytelling can an almost have a poetic ‘Dr Suess’ telling to it at times and makes use of a narrator who acts as a third person omniscient, knowing and detailing what characters may actually be feeling or thinking, despite the presence of other characters or current time in which the story is being relayed. The sets use a mixture of CGI and brightly decorated props which emphasise and complement the story-telling presentation of the show. The overall effect is like you are watching a children’s storybook – but for ‘big kid’ adults. The story is itself pretty simple, and indeed can read like a recipie: take one dead person, allow Ned to touch them and wake them up for one minute, take the information away and use it to try and solve the murder plus sprinkle a bit of ‘interpersonal issues’ between main characters to develop across the overarching plot of the show and voila – we have pie! Who knows; I’m only just halfway into the second and sadly, final season of this show. But these nitty gritty details do not really matter. I found it an utterly refreshing take on the murder mystery genre. With each episode I found myself giggling away at the quick one liners, being amused in trying to work out the ridiculous logical steps of ‘whodunnit’ and coming to like watching each of the characters have their own ways of dealing with everyday grown up issues (such as grief, change, love & death). And thus, my criteria of thought provoking & amusing is fulfilled with this show. I highly recommend to those of us who are still children at heart and enjoy a mystery and a little bit of magic. Pushing Daisies is available from Amazon in two DVD sets: Pushing Daisies: The Complete First Season , and Pushing Daisies: The Complete Second Season . Kristin Chenoweth? THE Kristin Chenoweth?? *cough* Wicked fangirling aside, is it anything like Castle MK? Castle to me is your lighthearted yet serious murder-mystery with a twist (…and Nathan Fillion <3 So your one-liners usually have half a chance of being related to Firefly :P). 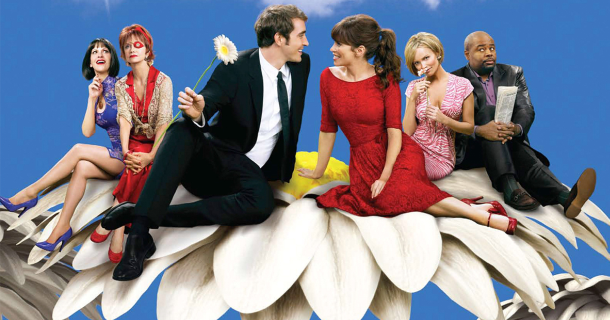 I LOVED Pushing Daisies. It’s kinda like Dr Suess on drugs. If I ever get a pet pig, I’m calling it Pigby :).